Looking for effective couples therapy, marriage workshops or marriage counseling in San Antonio? Call 210-526-2050 to schedule an appointment with Krista Miller today. Now offering marriage workshops! New opportunity, sign up today! Are you struggling to connect and communicate? Are you getting ready to commit and want to get it right? Are you looking to invest in an already healthy relationship? 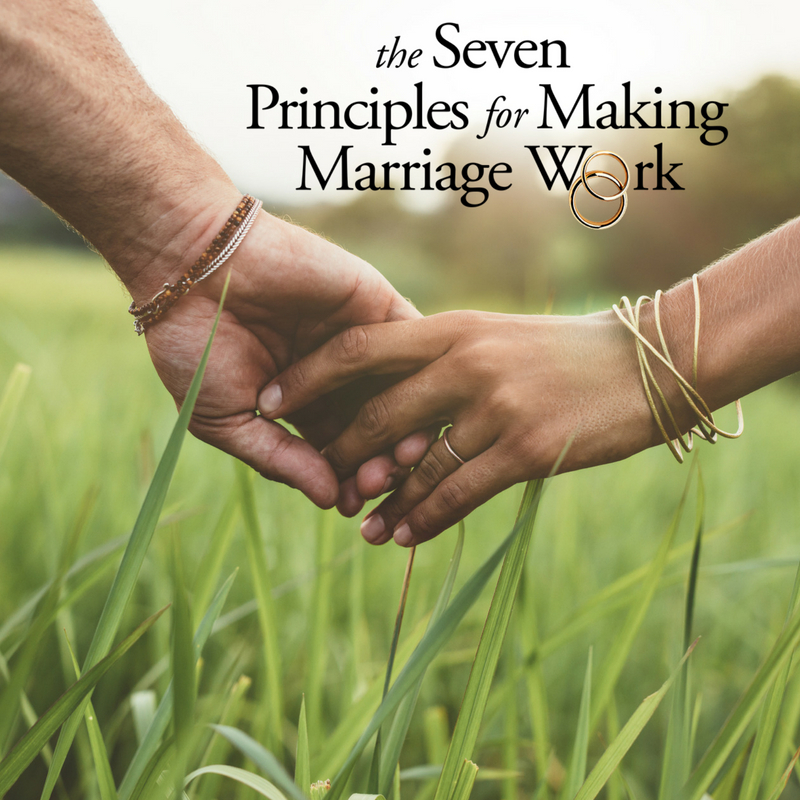 This workshop teaches skills developed from John Gottman’s 40 years of relationship research and his internationally acclaimed bestselling book The Seven Principles for Making Marriage Work. This is an educational workshop and not therapy. There will be no group sharing. Love is a verb and also a skill. Please come join us and invest in your relationship and refine your skills! (This marriage workshop will not benefit those where: there is high conflict, heavy substance abuse, domestic violence, ongoing or recent infidelity and untreated mental illness). Please see a Marriage & Family Therapist to address these issues. Referrals can be made upon request. I’m excited to upgrade my venue to Plaza Lecea, a beautiful event complex in Northwest San Antonio. For more info, see their website at Plaza Lecea. Could this be given as a gift? Yes! This marriage seminar is the perfect pre-martial or anniversary gift. 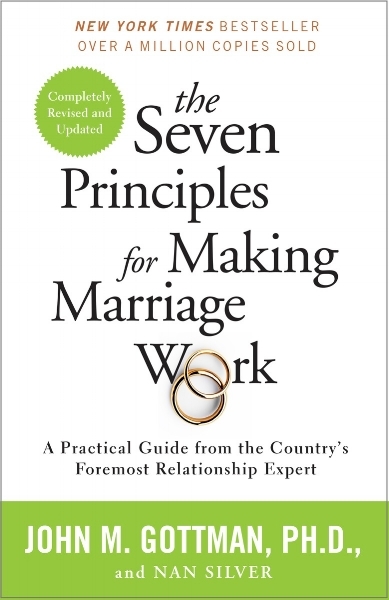 Krista Miller utilizes the most recent relationship science to guide couples to connect in healthy, meaningful and productive ways. The goal is to recreate intimacy and strengthen not only the couple, but the whole family system. Krista has been a Marriage & Family Therapist for 17 years. She has a background in treating individuals, couples and families in mental health and substance abuse settings. She has been married for 20 years and is in private practice in San Antonio, TX. She is a Clinical Member of the American Association of Marriage & Family Therapy and a board member for the Texas Association of Marriage & Family Therapists. She is a trained Gottman Leader of the Seven Principles program, and a Certified Gottman Therapist, a title given to therapists who complete an extensive years long training and consultation program through the Gottman Institute in Seattle. She is one of only around 340 therapists in the world with this designation. Please arrive at 8:45 to sign in and get comfortable before the workshop begins at 9:00am. No need to bring anything, all materials and supplies will be provided. Child care is not offered at this time, this venue is not conducive to bringing children. Please make other arrangements. Must both of us come? Yes, two people are needed for this workshop, cost is per couple. How is this different than just reading the book? Usually only one person will read the book, so this workshop provides the opportunity for both sides to understand and experience the material. Encouragement to work on one’s relationship in the context of other couples that are doing the same thing. Relationship boost by showing your partner that they are a priority in your life. For cancellations 30 days prior to class date, a full refund minus a $30 processing fee will be given. For cancellations thereafter, you will receive credit good for one full year that you can use to attend a later class. Classes will be given roughly every two-three months. Sign up today to prioritize your most important investment! Online workshops coming soon, check back for details!